We all love a fluffy freshly washed pooch, unfortunately, sometimes this seems like a distant desire. When the inevitable four letter word (bath) is whispered it can have your pup running a mile, not to mention making a mess at home. At LuxeWash Red Bank Plains we have DIY dog washing stations that will make the b.a.t.h experience stress-free for you and your pooch. Our DIY dog washing stations are state of the art in technology and product. The DIY stations are equipped with environmentally friendly products that nourish and protect your pooch’s coat and skin. With the LuxeWash DIY stations, your will confidence knowing that your pooch is getting clean with specialty products in a safe, eco-friendly environment. LuxeWash DIY stations are easy for you and your pooch. Our stations let you groom your pup while avoiding making a mess at home. Use our stations with confidence knowing your pooch is safe and secure. All the stations are equipped with products which are tough on dirt, fleas, and ticks, but soft on your pooch’s coat and skin. The DIY dog wash stations have everything you’ll need from shampoo, flea and tick treatments, disinfectants, conditioner, and blow dryers. Come and go with convenience knowing that your pooch has had a stress free bath using quality products. The benefits don’t stop there! The LuxeWash DIY stations are fully automated, so you can come and go as you please. The stations are $1 per minute starting at $10 for 10 minutes. 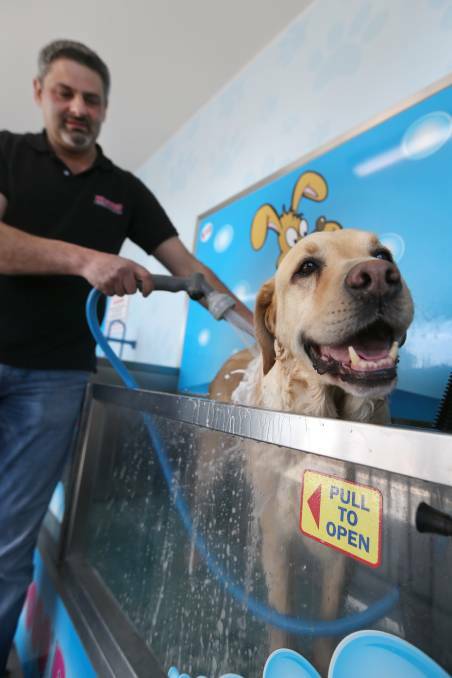 Come for a quick wash or stay for a luxurious pooch pampering with all the trimmings. LuxeWash DIY stations have all the products you could need for a clean, flea free, fluffy pooch. Insert money – starting at $10 for 10 minutes. Simply had an extra dollar or two for a couple more minutes pampering. Follow the instruction on the panel, working from shampoo, to flea and tick shampoo, and conditioner. Don’t let your hard work go to waste, take a few minutes to thoroughly dry your pooch with the professional groomer standard high-powered blow-dryer. 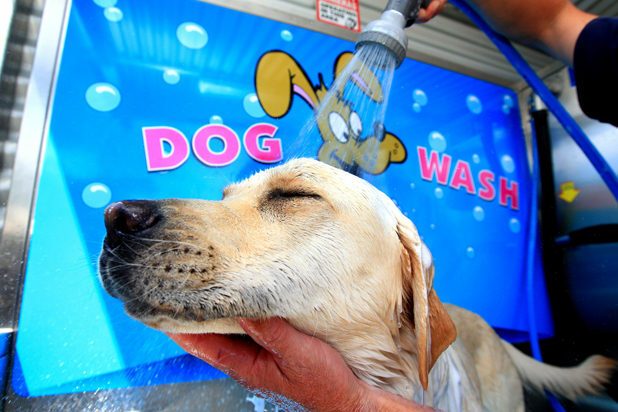 Next time your pooch needs a wash look no further than the convenient LuxeWash DIY Stations. While you are visiting LuxeWash, spruce up your car with our automatic car washing service. LuxeWash – luxe on quality, not on price!